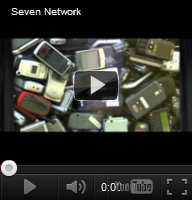 SEVEN Networks is a privately held company backed by some of the world's most respected investors. Amadeus Capital Partners is one of Europe's leading technology venture capital firms. Since its inception in 1997, the firm has backed companies across the technology spectrum in industries that include communications and networking hardware and software, cleantech, medtech, computer hardware and software, media, and e-commerce. Amadeus has £460m under management, with active investments in around 40 companies at any time. Amadeus offers its investee companies more than just capital – it offers vision, imagination, experience and a network of contacts across the globe. Global businesses built by Amadeus include Cambridge Silicon Radio Ltd, now CSR plc (LSE:CSR), the leading producer of single chip bluetooth radios for short range connections, and Solexa Ltd, the developer of next generation genetic analysis systems, merged into Illumina, Inc. (ILMN) to create the world-leader in gene-sequencing technology. Fortress Investment Group LLC (NYSE: FIG) is a leading, highly diversified global investment management firm. Fortress applies its deep experience and specialized expertise across a range of investment strategies - private equity, credit, liquid markets and traditional asset management - on behalf of over 1,600 institutional investors and private clients worldwide. Founded in 1965, with offices in Boston and San Mateo, Greylock is one of the nation's largest early-stage venture capital firms with assets of over $2.2 billion under management. The firm focuses on early stage investments in communications technology and services, Internet infrastructure and technology, e-commerce and enterprise software/services. Greylock's strategy is to work in a highly supportive way with entrepreneurs who, in turn, are committed to building long-term value in companies that aspire to be leaders in their markets. Greylock's early stage investments in recent years include Red Hat, Phone.com (now Openwave), Storage Networks, Sirocco Systems, Octane, Corio, Maker Communications, DoubleClick, Media Metrix, Open Market, Kiva Software, CheckFree, Forte Software, Legato, ISS Group, Trilogy, Clarus, Xircom, Ascend Communications and Copper Mountain Networks. Greylock has sponsored more companies to successful initial public offerings than any other early-stage venture firm, with over 125 total and has been lead or co-lead investor in most of these companies. For more information, visit the Greylock Partners website. M/C Venture Partners is a venture capital firm focused exclusively on the communications, media, and information technology sectors. The firm has invested over $1.8 billion into nearly 80 companies in those sectors. Companies the firm has backed include Brooks Fiber, ICG Communications, Lightower (formerly National Grid Wireless), MetroPCS, NuVox, Phone Michigan, Revol, and Zayo Broadband. The firm has strong institutional backing from the nation's leading pension funds and endowments as well as a long track record of success. M/C is currently investing M/C Venture Partners VI, a $550 million venture capital fund raised in 2006. The firm has offices in Boston, San Francisco and London. Saints is a leading direct secondary acquirer of venture capital and private equity investments in emerging growth companies around the globe. Saints also makes traditional direct venture capital investments on a primary basis and in special situations in technology, healthcare, consumer and industrial companies in the United States. Saints is headquartered in San Francisco, with investment professionals in Europe and in Asia. Saints currently manages four funds with investments in over forty individual companies. Saints also has an affiliated investment bank - Saints Advisors LLC - a NASD-regulated broker dealer. The core focus of Saints Advisors is assisting emerging growth companies with mergers and acquisitions, raising capital, and providing restructuring services.